Big data and the future of healthcare - Hewstone I.T. Big data’s potential is clear, but it also poses a new set of challenges, especially for a sector as complex as healthcare. Data-driven insights could ultimately improve the quality of life for many patients. But the industry still has significant barriers to overcome before it can make the most of the overwhelming data sets available. 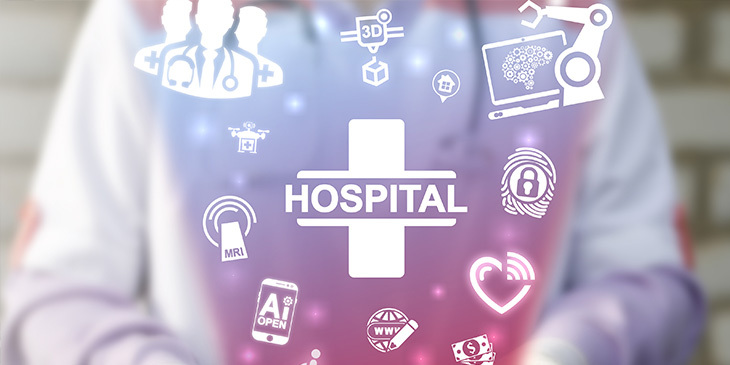 Here we look at how big data will disrupt the healthcare industry, and the challenges the sector faces in implementing this game-changing approach to mining information. So, what will data-driven healthcare look like in the near future? Aggregated data will make tracking and managing health more efficient. Predictive analysis will enhance our ability to deliver preventive care. Real-time activity monitoring and biometric data will allow instant diagnosis and treatment. Remote patient monitoring will reduce care costs. And while the era of big data is shaping up to transform the delivery of healthcare, it also has some serious teething problems. The fragmented nature of the Australian healthcare system, with its myriad private- and public-sector stakeholders, is a serious obstacle to using all of its varied data effectively. With so many healthcare services, providers and organisational structures, sharing information and data freely is challenging. Collating the data sets is one thing, but then it needs to be sorted and analysed in a meaningful way. There are also technical obstacles as public health agencies grapple with IT skills shortages and funding shortfalls. Practical problems include processing high volumes of data from multiple sources, often using software and hardware that simply isn’t up to the job. Then there are some potential roadblocks in the form of competing data security and freedom of information interests. What does this mean for the future of big data in healthcare? Big data has great potential to improve the quality and reduce the cost of healthcare, but healthcare providers are going to have to overcome significant logistical, technical and regulatory hurdles. This includes identifying relevant data sources. Currently, the healthcare industry is drowning in data, but is a long way from deciding what is valuable and actionable. The sector needs to leverage new technologies, including data management, to ensure it can transform and improve the way healthcare is delivered for future generations.